Scientific discoveries are constantly in the news. Almost daily we hear about new and important breakthroughs. But sometimes it turns out that what was trumpeted as scientific truth is later discredited, or controversy may long swirl about some dramatic claim.What is a nonscientist to believe? Many books debunk pseudoscience, and some others present only the scientific consensus on any given issue. In At the Fringes of Science Michael Friedlander offers a careful look at the shadowlands of science. 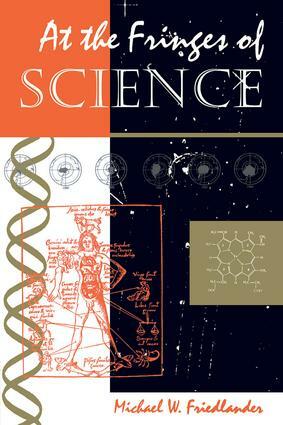 What makes Friedlander's book especially useful is that he reviews conventional scientific method and shows how scientists examine the hard cases to determine what is science and what is pseudoscience.Emphasizing that there is no clear line of demarcation between science and nonscience, Friedlander leads the reader through case after entertaining case, covering the favorites of ?tabloid science? such as astrology and UFOs, scientific controversies such as cold fusion, and those maverick ideas that were at first rejected by science only to be embraced later.There are many good stories here, but there is also much learning and wisdom. Students of science and interested lay readers will come away from this book with an increased understanding of what science is, how it works, and how the nonscientist should deal with science at its fringes.